Fresh broccoli from the farmer’s market is hard to beat when it comes to taste. Here are some tips and tricks to properly freeze and store your broccoli for use in the winter months. Freezing fresh broccoli is easier than you probably think. To prepare for freezing, make sure you choose broccoli heads that are tight and firm. Try to avoid freezing broccoli heads that have individual buds beginning to open. Freezing the ripest and most fresh heads give you the best results. Here’s a step-by-step process to freezing your broccoli for use later. 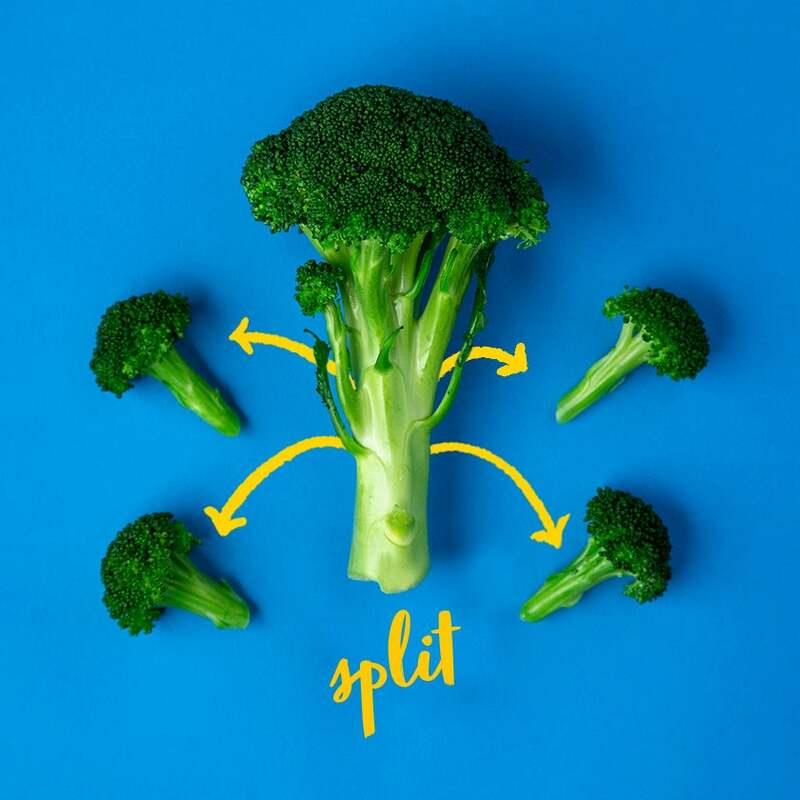 Split your broccoli into sections that are no larger than 1.5 inches wide. If you come across thicker stems, make sure to remove them. If you’d like, you can save the large stems to freeze for use in soups and stews. Blanching is an important step to the freezing process. If you don’t blanch your broccoli, it will turn color and acquire a bitter taste. You can either stick it in boiling water for three minutes to blanch, or steam it for five minutes, whichever you choose. 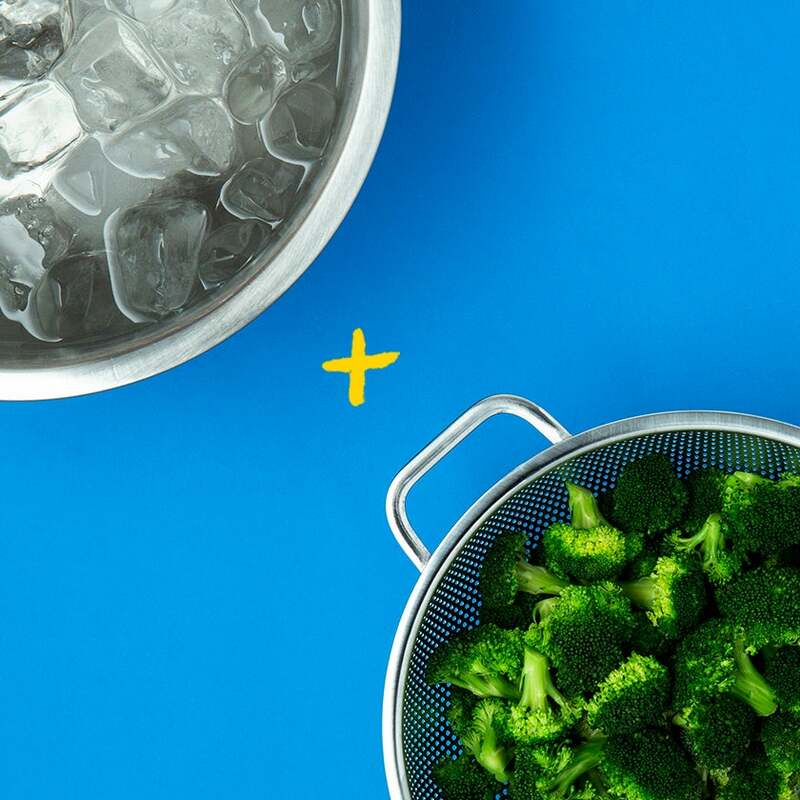 For the same amount of time you heated your broccoli, cool it in ice water. Make sure to dry it as best as you can before you pop it in the freezer. You can use a salad spinner to help ring the water out of each floret joint of your broccoli. Another option is to use a colander to drain your broccoli and blot it dry. 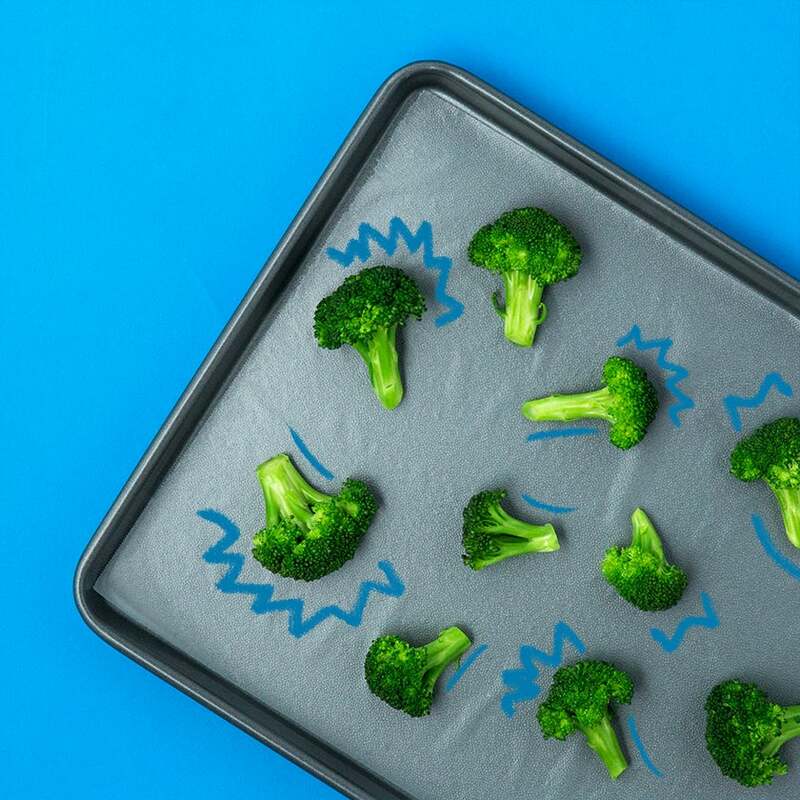 Put your broccoli on a Glad® Press’n Seal®-lined tray to individually freeze each floret. This ensures that the broccoli is thoroughly dry and frozen separately before storing. 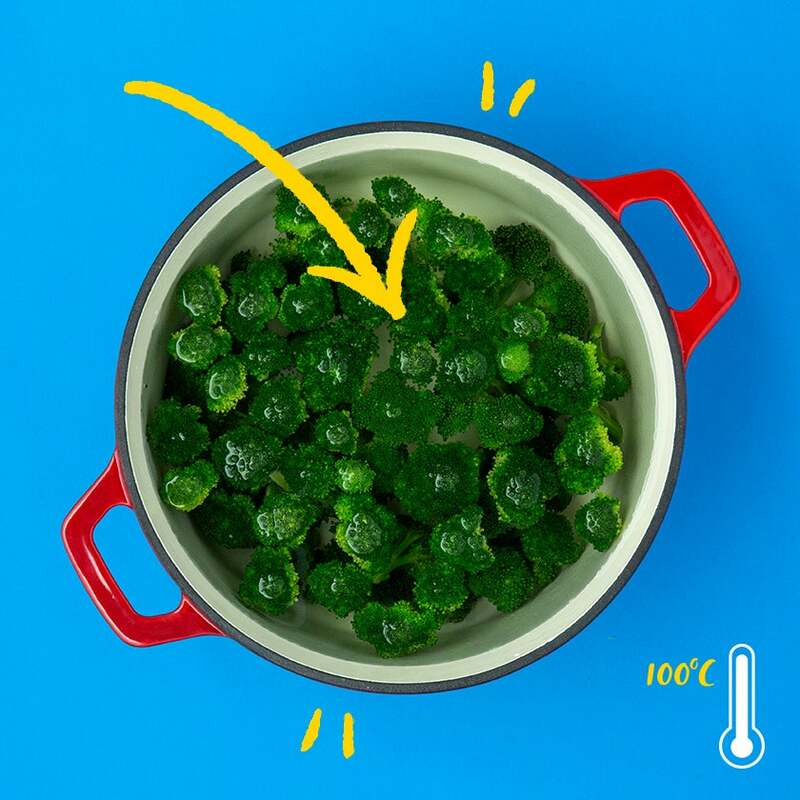 If it isn’t completely dry, the water will freeze into a large mass in storage and make it impossible to separate the broccoli into different parts. 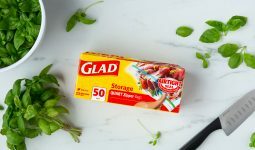 After you’ve frozen your broccoli, package all the pieces into a Glad® Freezer Zipper Gallon Bag. These freezer bags have an extra thick and durable seal that will make sure your broccoli is protected. 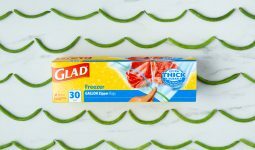 After you place them into your freezer bag, make the florets flat to ensure fast freezing.